My frequent readers might have noticed a growing trend in the industry as well as on DavidNews.com monitor – the rise of programs offering lifetime investment plans. Hence, today we will keep up with the trend and review another HYIP program with a lifetime offer called BitWave Group LTD. Our latest rival joined Golden Stage listing on DavidNews.com on the 22nd of February and has been online in total for 7 days. I have reinvested $400 to keep you updated about the payment status of BitWave Group LTD. Like the majority of programs, we have seen/reviewed lately, the legend of BitWave Group LTD can also be labelled as cryptocurrency in inspired legend promoting a Bitcoin and altcoin investment platform. 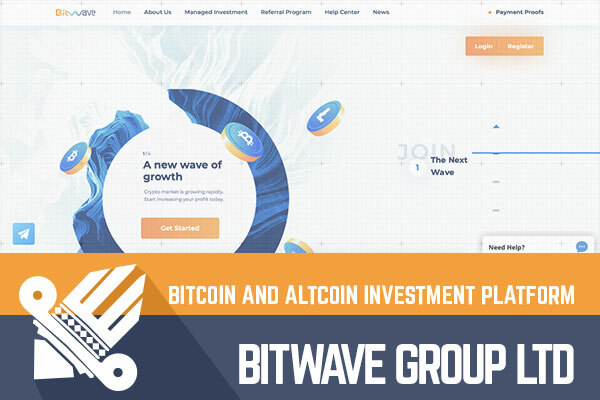 So, if you are interested to find out more about this program, let’s take a closer look at the investment offer and how/ if BitWave Group LTD differ from other cryptocurrency inspired programs. How's your year been so far? Any programs that caught your attention? Leave a comment below or share your thought on the DavidNews.com chat! This week I have another review for you, guys! Last week a new program called Coinvestment Limited joined Golden Stage listing on DavidNews.com. The program has been online for 5 days in total and currently, it has the status “PAYING” on the monitor. I have reinvested $400 in the program and will keep you updated about the payment status. 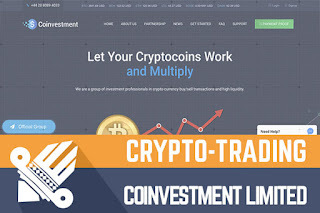 Coinvestment Limited encourages us to – “multiply our cryptocoins”, therefore, let’s take a closer look on how exactly Coinvestment Limited offer us to make some extra money. As expected, the first month of 2019 haven’t been a game changer for the industry. Of course, a few programs have joined, some have left, however, the HYIP industry keep going the same road as in 2018 - slowly but steady. What’s driving the industry for now? Share your thought in the chat box below! Meanwhile, let’s take a closer look to one of the latest rivals on DavidNews.com monitor. 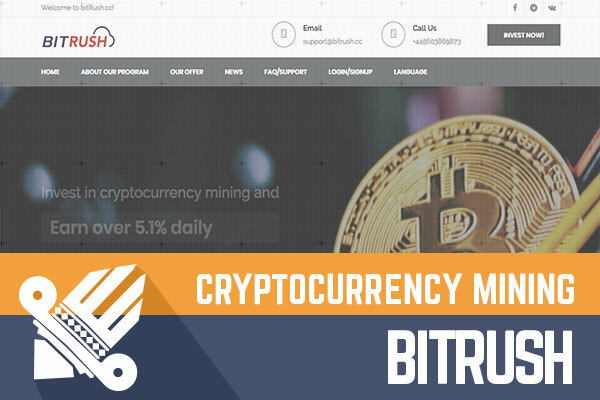 BITRush is another cryptocurrency mining inspired program that joined us lately. It has been online for 6 days in total, but it joined Standard listing on DavidNews.com monitor on 5 days ago. I have reinvested $200 in the program to keep you updated about the payment’s status on DavidNews.com monitor. Is this cryptocurrency mining program anyhow different from the other ones currently in the HYIP industry? Let’s take a closer look at BITRush. The first review of 2019 is here. How has 2018 been for the HYIP industry? Maybe it’s good that 2018 is over and everyone can make a fresh start including the HYIP industry. 2018 was a year of changes, so all I can wish to all of you is to use these changes for your benefit! What’s your review of the year 2018? Share your thoughts and experience in the chat box below or DavidNews.com chat. So, let's get to the review and take a look at the program, that has joined us recently? 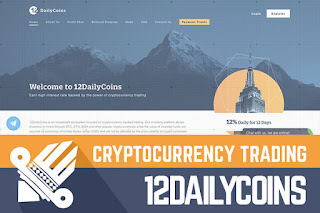 A program called 12DailyCoins joined Golden Stage listing on Davidnews.com monitor four days ago. The program has been online for 6 days in total and I have reinvested $400 to keep you updated about the payment status. 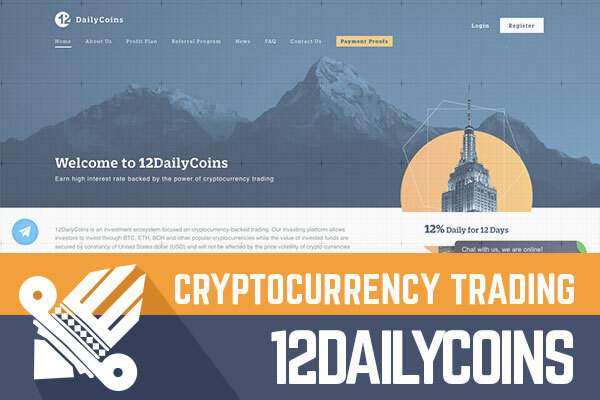 12DailyCoins calls encourage potential investors to earn high-interest rate backed by the power of cryptocurrency trading. If you want to learn more about this program and its features, keep reading this review. It’s been a while since I last posted a review on davidnews.com. However, for a few days now, we are having a new addition to our monitor that I am going to review today. A program called Doubly Ltd joined Golden Stage listing on Davidnews.com monitor six days ago. The program has been online for 8 days in total and I have reinvested 0.072 BTC to keep you updated about the payment status. Doubly Ltd calls themselves a crypto-trading company that strives to implement innovative solutions for the financial market sector. If you want to learn more about this cryptocurrency inspired HYIP program and its features, keep reading this review. Doubly Ltd offer three investment plans named after industry’s best practices: Standard (the minimum investment 0.001 BTC, LTC, ETH, DASH, BCH), Exclusive (the minimum investment 0.02 BTC, 3.2 LTC, 0.8 ETH, 1.2 DASH, 1.2 BCH) and VIP (the minimum investment 0.375 BTC, 37.5 LTC, 9 ETH, 11.25 DASH, 4.8 BCH). The first plan offers 2.72% a day for 72 days, the second plan offers 3.67% a day for 54 days. While the third plan offers 4.5% a day for 44 days. Pay-outs are processed automatically on business days in each 24 hour period, from the time of the investment. The minimum withdrawal limit is 0.0005 BTC, 0.05 LTC, 0.02 ETH, 0.025 DASH and 0.002 BCH. Doubly Ltd. accepts Bitcoin, Ethereum, Bitcoin Cash, LiteCoin, and Dash. In my last review, I called the program I was reviewing “a bit old school for today's cryptocurrency inspired HYIP industry”. Whereas today I am reviewing a program that’s totally appropriate for today’s HYIP industry. Why do I think that? The trends are changing, technology is evolving but why we keep seeing HYIP programs that don’t keep up with time? 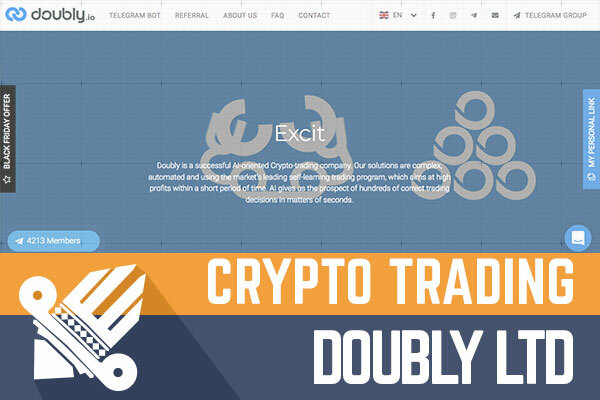 Doubly is a program that gives us a well-known crypto trading legend in combination with a not that widespread technical solution for investments and withdrawals. In short, it’s not necessary to create an account to make a deposit or withdrawal the earnings. All an investor must do is to enter the bitcoin address, for example, on the website, make a payment and track the payouts. Of course, I have to mention straight away that the system is not 100% perfect – the pay-out tracking option on the website should be definitely improved. Otherwise, it can be just a “modern way” of scamming. However, if you are interested to take a look at this yourself, feel free to visit the website! So, Doubly Ltd admins have done a lot to stand out among other programs. The first thing, of course, is the investment/withdrawal solution. The next most noticeable difference is the website. I would say that the admins have done the homework pretty well - the layout, the colour scheme, the content. However, they could have worked on the FAQ section a bit more. Yes, they follow the trends and have made videos to explain questions like how to start and how the profit is generated. However, especially for a program like this, a more detailed FAQ would help many potential investors to try this new solution. In term of content, Doubly Ltd has chosen a common “cryptocurrency inspired” program feature – meet the team. They have gone even further, next to the names, images and descriptions you can find interviews with the leading figures of Doubly Ltd. If you are someone who enjoys reading some inspirational content take a look at the interviews. What about the legend? 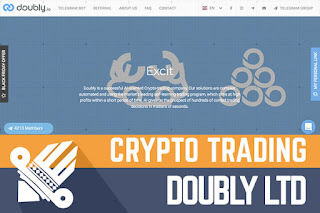 Doubly Ltd is an exciting project because it slightly differs from other HYIP programs (even the good quality “cryptocurrency” inspired programs) that we are used to seeing around all the time. However, the legend is something that we all have seen before. In short Doubly Ltd offers an automated stock market trading system. As they call it “a money machine that never stops raising funds for you”. 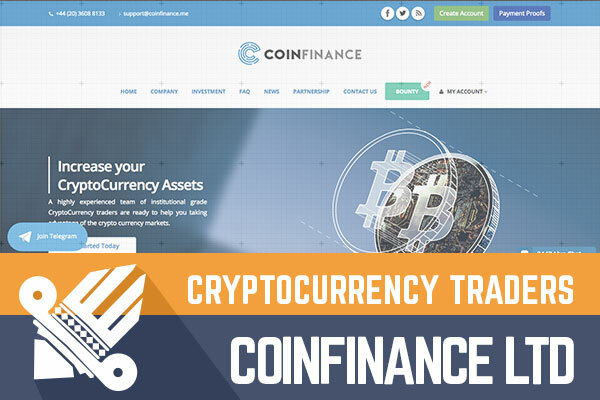 To convince potential investors to use the services of their “money machine” the admins have created a lot of content devoted to the possibilities and benefits of the cryptocurrency technology. What does the internet say about this 8-day old program? According to Alexa rank, currently, the main Doubly Ltd audience comes from Russia, Canada, India and Brazil. Of course, Alexa rank must be perceived only as a hint. The website is available in quite a few different languages. And this is one of the main things people are discussing online– is it really necessary to have a low quality translation, especially for a program like this. Feel free to share your thought about the quality of the translation in the chat box below! Like with other programs that joined the industry recently, the internet discussions don’t show a lot, people are mainlydiscussing the investment offer, the need of telegram bot and etc. If you want to find out more about Doubly Ltd feel free to check out the social media profiles including the Instagram account. So, let's take a look at the investment opportunities. Usually, I do the calculations for the most affordable investment plan which would be the plan called “Standard”. However, I will stick to the investment of approx. $200, therefore for Doubly I will look at the plan “Exclusive” 3.67 % daily for 54 days. An investment of 0.047 BTC would generate a daily return of 0.0017249 BTC. With 3.67% daily, the break-even point is reached after 28 days. 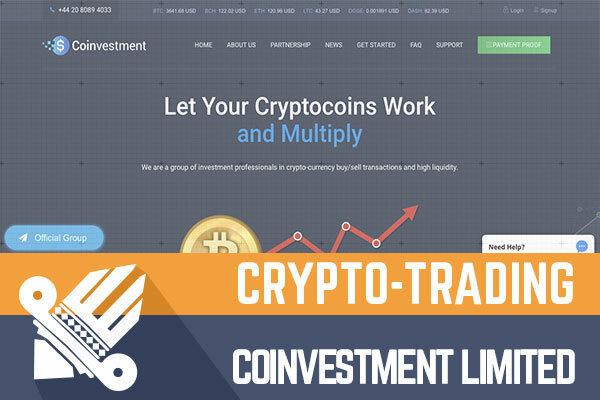 And at the end of the investment term, the investment would have made a net profit of 0.04614460 BTC and in total 0.0931446 BTC. Of course, a lot can happen during a period of 54 days! Today we are looking at a program called Doubly Ltd. The program offers three investment plans and a not so widespread investment/automated withdrawal solution. Can this solution help attract more investors? Or on the contrary, people won’t appreciate this? Whatever the case may be if you ever decide to make any investments, don’t invest more than you can afford to lose! Have you already made an investment in Doubly Ltd and have any useful information to share with us? Please drop a message in the chat box to share your experience! Lately the most common discussion topics in the industry are the current popularity and the future of the HYIPs. To say the least, the opinions slightly differ. Do you have any thoughts on this? Feel free to share your opinion in the chat box below or in Davidnews.com chat! Meanwhile, last week a program called Led Generation joined Standard Stage listing on Davidnews.com monitor. The program has been online for 197 days in total and I have reinvested $200 to keep you updated about the payment status. 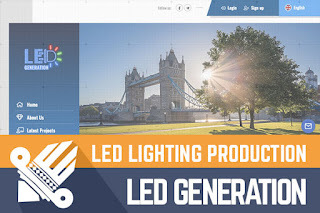 Led Generation claims to be involved in Led-based lighting development and production. If you want to learn more about this HYIP program and its features, keep reading this review. A month ago, the HYIP industry was in a relatively good place and both investors and admins were confident that the long-awaited “restart” has actually happened. Unfortunately, as October showed, the ones who did not believe in such rapid growth were right. The last few weeks were pretty empty in terms of new programs. So, once again we can make predictions will the industry expand this autumn or not. Meanwhile, feel free to share your thought in regards the current state of the HYIP industry in the chat box below or in Davidnews.com chat. In terms of new programs, last week a program called Token Logic joined Golden Stage listing on Davidnews.com monitor. The program has been online for 6 days in total and I have reinvested 0.062 BTC to keep you updated about the payment status. 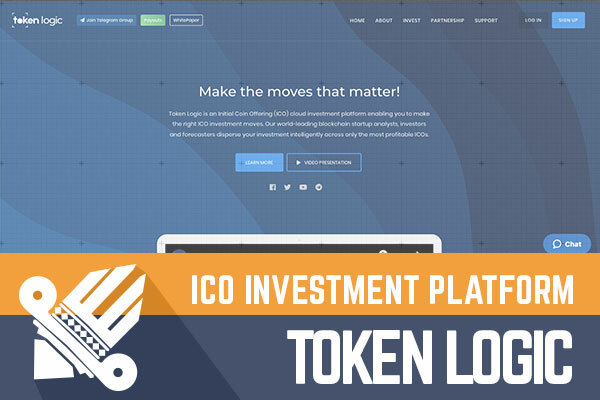 Token Logic is an Initial Coin Offering (ICO) cloud investment platform, that claims to enable investors to make the right ICO investment moves. If you want to learn more about this HYIP program and its features, keep reading this review. How Token Logic can help you to engage in the world of ICO investments? Of course, with the help of three investment plans that are named after the best known HYIP world naming tradition. The first plan called “Starter” (the minimum investment 0.001 BTC and the maximum investment 10 BTC) offers 3% daily for 50 days, the second plan “Advanced” (the minimum investment is 0.1 BTC and the maximum investment 20 BTC) offer 3.75% daily for 40 days. And the third investment plan “Superior” (the minimum investment 0.5 BTC and the maximum investment 100 BTC) offer 5% daily for 30 days. For all three plans, the initial deposit is included in the payments. The minimum withdrawal is 0.0005 BTC, but the maximum withdrawal is not set. Token Logic accepts Bitcoin, Litecoin, Ethereum, Bitcoin Cash, Doge and Dash. Withdrawals are instant for BitCoin, Doge and Litecoin, but for others, the withdrawals are processed within 24 hours. When you look at a new program what’s attract your interest the most besides the investment offer? But do you pay attention to the legends? I kinda do it. In terms of this newbie, the legend was one of the first things that chough my attention. 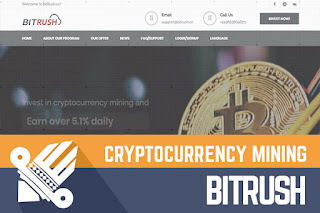 If you still enjoy the cryptocurrency space but you’re kind of tired of cryptocurrency mining inspired programs, then take a look at this one. Token Logic is offering us a slightly less common approach to the cryptocurrency world – ICO investments. Basically, ICO is a means of crowdfunding, through the release of a new cryptocurrency or token to fund new projects. This is certainly a legend that will attract the interest of potential investors – both because of the “something different” approach and the crowdfunding aspect. Again, this has nothing to do with the longevity of the program. Feel free to learn more about the ICO investments to assess the legend of Token Logic yourself. If the legend is kind of exciting, then the website is something that doesn’t impress yet doesn’t make you hate it. Its one of the kinds that has a simple layout and design which doesn’t make it stand out among other, yet it is functional, and you can easily find everything you need. The same applies to the user dashboard – simple yet easy to browse. The admins have done a good job with the content, especially with the FAQ page. They have thought about the potential investors who are just starting to get to know the HYIP world as well, preparing a detailed explanation on how to open an account and make an investment. To everyone who are interested in this program, I suggest to take a look at the Whitepaper. 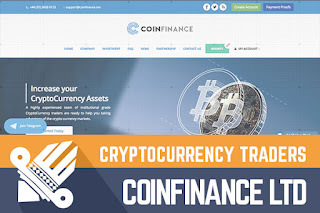 All you possibly want to find out about the program can be found there - starting from the investment offer to affiliate system, to the company’s roadmap and the team. Moreover, the admins have developed an informative video. If you are interested, visit the website and take a look at it. What does the Internet say about Token Logic According to Alexa rank, currently, the main Token Logic audience comes from Nigeria, Vietnam, Russia, Bangladesh and Ukraine. Of course, Alexa rank must be perceived only as a hint. It’s important to mention, that according to the information on the website Token Logic is a Hong Kong-based company. The program also has a Facebook profile and a Twitter account. If the Facebook profile seems realistic with 11 followers of a 6-day old program, then the Twitter account shows a totally different picture – over 3000 followers. What do the people share on the Internet? For now, the main discussion is focusing on the investment offer. In addition, people claim that this program is pretty similar to a HYIP that has been launched before. This is something that I thought about myself – the overall approach of this HYIP reminds me of something I have seen before. Any thought in this regard? Feel free to share in the chat box below! So, let's take a look at the investment opportunities. As always, I will do the calculations for the most affordable investment plan – in this case, the plan “Starter” 3 % daily for 50 days (the minimum investment 0.001 BTC and the maximum investment 10 BTC). An investment of 0.032 BTC (approx. $200) would generate a daily return of 0.00096 BTC. With 3% daily, the break-even point is reached after 34 days. And at the end of the investment term, a 0.032 BTC investment would have made a net profit of 0.01600000 and in total 0.048 BTC. Today we are looking at a 6 day old HYIP program offering to join the world of ICO investments with the help of 3 investment plans. As always it is impossible to tell what’s going to happen with the program tomorrow, next week or after a month. Therefore, if you ever decide to make any investments, don’t invest more than you can afford to lose! 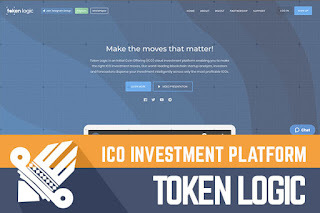 Have you already made an investment in Token Logic is and have any useful information to share with us? Please drop a message in the chat box to share your experience! Investment plans: 3% daily for 50 days, 3.75% for 40 days, 5% for 30 days. Initial deposit included in the payments. Payment processors: Bitcoin, Litecoin, Ethereum, Bitcoin Cash, Doge and Dash. The feed of DavidNews.com shows that the last few weeks has been pretty busy compared to the deadly silent summer. We can assume that the admins are back from their summer vacations and so are the potential investors. Therefore, let's get straight to the point and review our latest rival on DavidNews.com monitor. 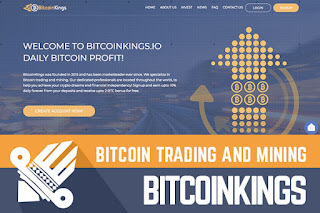 A program called BitcoinKings joined Davidnews.com Golden Stage listing on September 20, 2018. The program has been online for 6 days in total and I have reinvested 0.062 BTC to keep you updated about the payment status. BitcoinKings claims to be the largest bitcoin trading company in the country (I assume they mean the UK) that can help you to achieve your crypto dreams and financial independence. If you want to learn more about this Bitcoin only program and its features, keep reading this review. Have you developed a specific routine to check the status of HYIPs you are interested in or to find new programs? I know that many of my readers are following different resources like monitors, blogs and HYIP crawlers (allmonitors.net for example) to keep up with the HYIP industry. 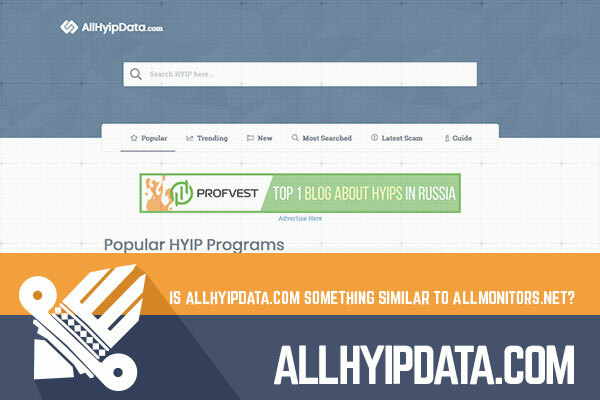 Last week I was asked to take a look at a HYIP crawler named allhyipdata.com. There is a common assumption that the new is actually the same improved old. Is allhyipdata.com the case? Let’s take a look at it to find out more about its features. The last program that joined Davidnews.com monitor last week is called Azakus Limited. This program has been online for 15 days in total, but it joined our Standard Listing on September 15, 2018. I have reinvested in Azakus Limited $200 to keep you updated about the payment’s status. 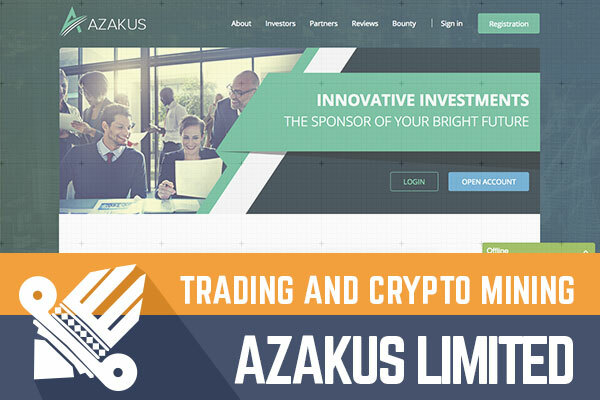 Azakus Limited is a fairly new program in the HYIP world offering investors to earn from trading and crypto mining. Are you interested in another cryptocurrency inspired program? Keep reading to find out more about. Azakus Limited and its features. People who have been in the industry long enough predict that September will restart the industry. Is it going to be so? The next few weeks will tell if these predictions have actually come true! For now, if you have any comments in this regard, feel free to share your thought in the chat box below or in Davidnews.com chat. Nevertheless, last week a new program joined the Golden Stage listing on Davidnews.com monitor. 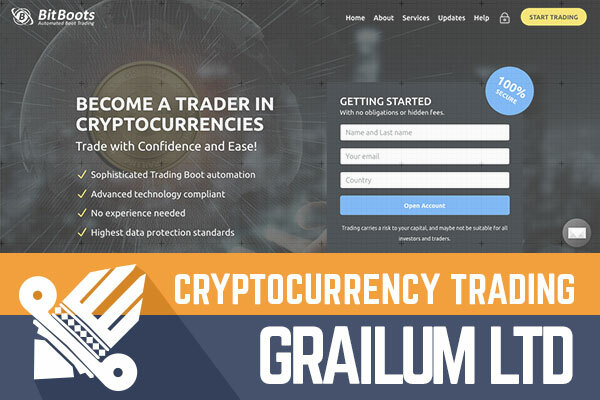 A program called Grailum Ltd joined us on September 1, 2018, purchasing a one-month subscription for the first position of Pinned Golden Stage listing. Grailum Ltd. has been online for 6 days in total and I have reinvested $400 in the program to keep you updated about the payments status on DavidNews.com monitor. 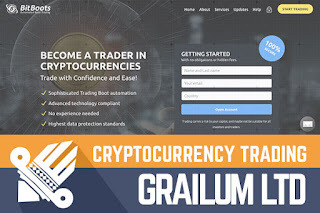 Grailum Ltd. is offering us to get involved in cryptocurrency trading. Keep reading to find out more about the program and its features. August was supposed to be another miserable month for the HYIP industry. More or less that was the case. However, a few new programs have joined the HYIP word and Davidnew.com monitor. Today I am going to review our latest rival - a program that has been online for 6 days in total. A program called Blue Spot Ltd joined Sticky Listing on Davidnews.com on August 23, 2018, and currently has status “PAYING” on the monitor. I have reinvested in the program BTC 0.056 and will keep you updated about the payments status. 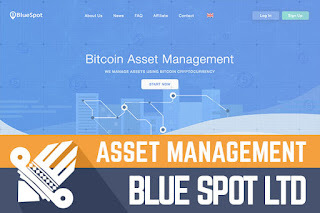 Blue Spot Ltd is a fairly new program in the HYIP world offering Bitcoin asset management. If a Bitcoin-only program is exactly what you are looking for, keep reading to find out more about this program and its features. The second program I am going to review this week is called Luxearn Proprietary LTD. Unlike the first program reviewed today Luxearn Proprietary LTD by no means cannot be called a new program. According to information on the website, It has been online for 1054 days in total, but it joined Golden Stage Listing on Davidnews.com on August 2, 2018. I have reinvested $400 in the program and currently it has the status “PAYING” on the monitor, however, I will keep you updated about the payments status on DavidNews.com monitor. 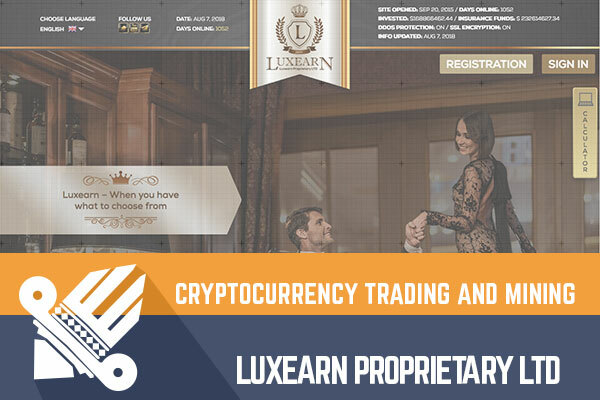 Luxearn Proprietary LTD offers to earn extra income via cryptocurrency trading and mining as well as trading on classic commodities and stock exchanges. To find out more about this program, its features and investment plans keep reading this review! Last week two new programs were added to Davidnews.com monitor - two slightly different programs in terms of investment plans and age. 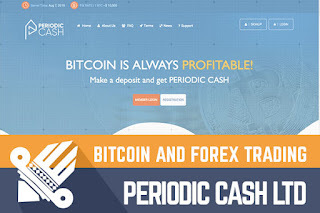 The first program I’m going to review is called Periodic Cash LTD. This program is a new one to the HYIP world, it has been online for 6 days in total and it joined Sticky Listing on Davidnews.com on August 2, 2018. 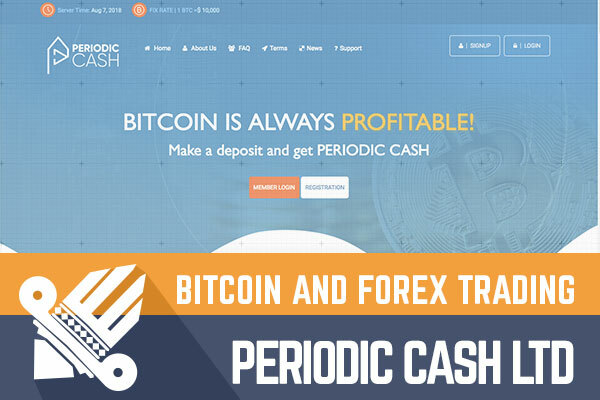 Currently, Periodic Cash LTD has status “PAYING” on the monitor. I have reinvested $360 in the program and will keep you updated about the payments status. This newbie offers us to make a profit in Bitcoin and Forex markets with a little help from their trader’s team and trade robot software. Keep reading to find out more about the program and its features.